Starring Rick Springfield in his first major (animated) role! 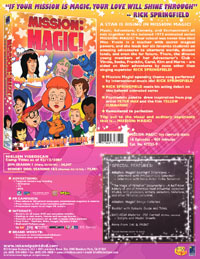 In Stores May 8, 2007. * "The Magic of Filmation" Documentary: A half-hour history of one of America's most influential animation studios, with producers, writers, animators, historians, and other Filmation personnel. 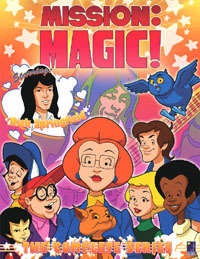 A Star is Rising in Mission: Magic! 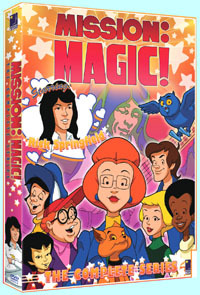 Music, Adventure, Comedy and Enchantment all mix together in the beloved 1973 animated series Mission: Magic! Your school was never like this! 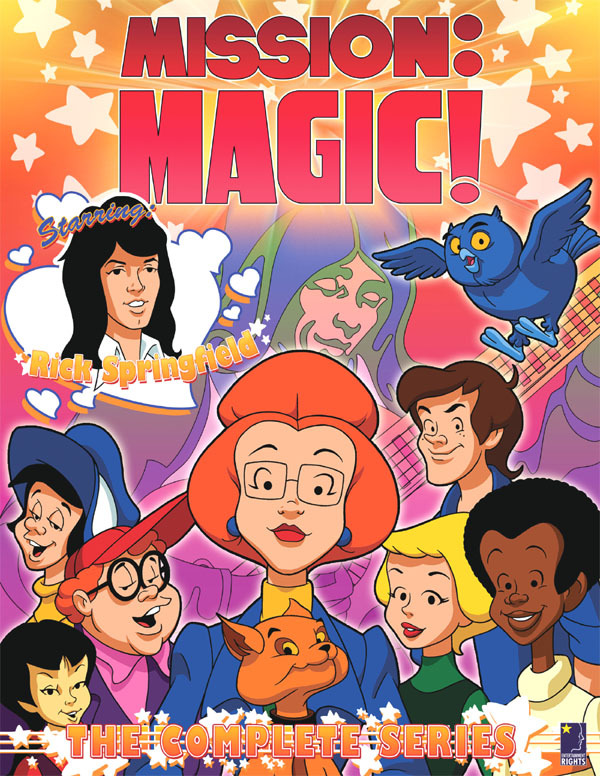 Miss Tickle is a teacher with secret magical powers, and she leads her six favorite students on amazing adventures to alternate worlds, distant lands, and even the far future. 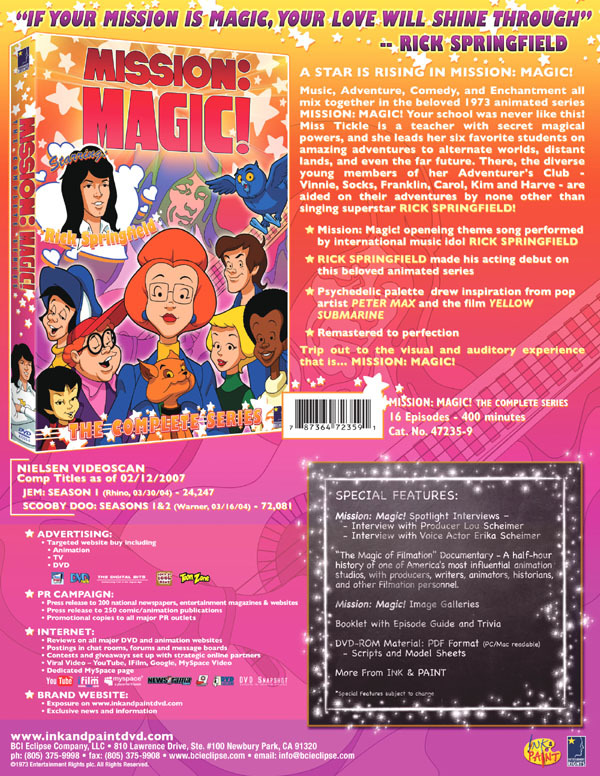 There, the diverse young members of her Adventurer's Club - Vinnie, Socks, Franklin, Carol, Kim and Harve - are aided on their adventures by none other than singing superstar Rick Springfield!